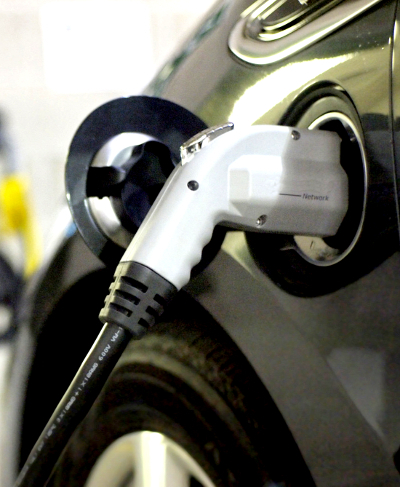 Funded by the RAC, the Electric Highway is set to allow electric vehicle (EV) owners to take their eco-friendly rides on longer runs. At the moment, most EV owners plug their cars in at home, charging for three to eight hours in order to travel about 150 kilometres. But EV owners should now be able to cruise through the state’s south-west wine region, accessing 12 charging stations on a 310km run from Perth to the beachside tourist town of Augusta. While there are fewer than 150 electric vehicles in Western Australia, the RAC hopes the new road will encourage more people to buy the cars. Dr Chris Jones from the Australian Electric Vehicle Association has told ABC reporters that there is a reason there are so few EV owners. “We do have longer distances than most to travel and so the limited range of the current fleet of EVs plays a part in that,” he said. “We also don't have any government incentives whatsoever whereas most other nations have got something." While getting started is more expensive than in a traditional car, the costs of running an EV are just a fraction of their fuel-powered predecessors. Owners can use the new charging stations for free this year, after which time they will cost between $3 and $5 for a full charge. Dr Jones concedes that electric cars are not completely green, he says they are preferable to fossil-fuelled locomotion. “EVs aren't saints, the batteries need to come from resources that are dug out of the ground, but they will run on virtually zero carbon emissions if you charge it from solar or wind for the rest of its life, as the majority of EV owners do,” he said. “All it took was a bit of motivation; it's an elegantly simple system. “All of the infrastructure to deliver the energy is already there, it's just a case of putting the right charger there.